This article by Vijay Prashad is re-posted from CounterPunch. Israeli air strikes not only hit the UNRWA compounds in Gaza, but they killed a Grade 4 female student from the UNRWA Beach Preparatory Girls’ School. Over the weekend, the UN Security Council met for an emergency session, listening to the UN Under-Secretary-General for Peacekeeping Operations Hervé Ladsous. The Council considered a French resolution on Goma, which condemned “the resumption of attacks by the M23 and demand their immediate cessation.” There was a tepid finger raised toward Rwanda, whose armies have not only armed the M23, but they seem to be directing them. In 2010, the UN’s Office of the High Commissioner for Human Rights published a comprehensive report, DRC: Mapping Human Rights Violations, 1993-2003. which showed the complicity of Rwanda’s government in war crimes, crimes against humanity and even genocide in the Congo. This damning report, solicited by UN High Commissioner for Human Rights Navi Pillay, was barely given any consideration. It should have been at the center of a UNSC discussion on eastern Congo. But it has not. Dossiers filled with appaling behavior and genocidal language flood the UN missions. Paul Kagame is on record as having called the Congolese, in his native Kinyarwanda, Ibicucu, nobodies or good for nothings (by Colette Braeckman in Les Nouveaux Predateurs, 2003). He speaks cavalierly about their “removal.” Former Israeli Prime Minister Ariel Sharon’s son, Gilad, whose his a member of the Kadima Party, wrote an op-ed in the Jerusalem Post (November 18), with genocide on his mind, “Flatten all of Gaza. The Americans didn’t stop with Hiroshima – the Japanese weren’t surrendering fast enough, so they hit Nagasaki, too.” Such comments should raise the eyebrows of the UN Human Rights Council, whose silence on both Goma and Gaza is as stark as its loud noises during the lead-up to the NATO intervention in Libya. Navi Pillay, who called for the 2010 report on Rwanda’s behavior in the Congo and who tried her best (along with her legal advisor Mona Rishmawi) to implement the Goldstone Report, was allowed to fulminate about Libya and Syria but is subdued on Goma and Gaza. When atrocities are useful for US foreign policy, morality and outrage are muted. By November 19, the UN Security Council had not acted on Gaza despite the Moroccan draft that has been before them since November 14. Russia’s Permanent Representative to the UN Vitaly Churkin made it clear to anyone without hearing range when he left the Council that he was frustrated with US obduracy. Palestine’s Permanent Observer Riyad Mansour indicated that absent US resistance there would be a UN resolution, and therefore an official indication to Tel Aviv of its isolation in its pummeling of Gaza. Meanwhile, the UNSC sanctioned the M23, but did not put any pressure on Kagame. That UN Secretary General Ban Ki-moon called Kagame and DRC’s Joseph Kabila to come to some kind of accomodation, shows that there is open acknowledgment that the M23 acts with Rwandan backing. Yet, no sanctions on Rwanda. Obama’s second term opens with the worst kind of display of US power – backing two clients who are hell-bent on creating mayhem against their neighbors. Coming to the defense of Israel in Bangkok, Obama made himself the laughing stock of the world. 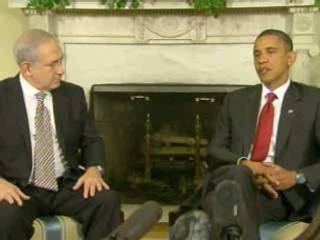 He said, “There is no country on earth that would tolerate missiles raining down on its citizens from outside its borders,” forgetting, of course, that US drones rain hellfire on Droneland – from Yemen to Pakistan, in violation of the UN’s own position on such extra-judicial assassinations, and it was Israel that began this particular episode with its own extra-judicial killing of Ahmad Jabari. There is no “reset,” no new liberalism. 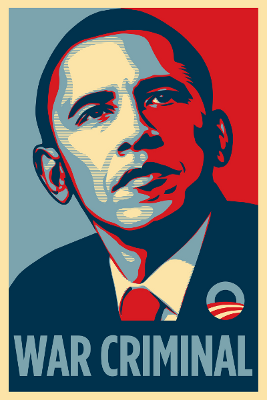 Drone strikes and other exaggerations of US aerial power, fanatical defense of its allies, and refusal to come to terms with the emergent multipolarity – this is the Obama Doctrine, now at work in Gaza and Goma.